GLOBAL DESIGN PROJECT 131 - EASTER THEME! This week at the Global Design Project is a theme week and I'm sure it is no surprise that the theme is EASTER!! 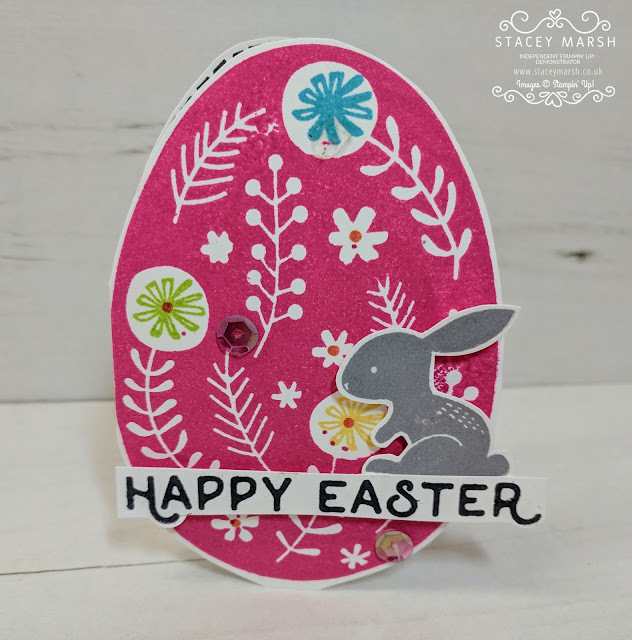 I really enjoy making cards and gifts to share with people at Easter time and this year I have used the Hello Easter Stamp Set for this job. For this card, I have used the egg-shape stamp to create the card itself. As the stamp isn't very big, these are mini cards that I shall put in with my gifts. I have used lots of bright colours on this card and added the little grey rabbit to finish off with the sentiment attached using Stampin' Dimensionals to add some extra dimension!